There is no place in Africa good for birding safaris like Uganda, it’s commonly well known for both migrants/seasonal and endemic bird species. 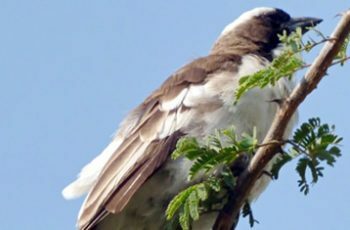 Bird watching safaris in Uganda are real encounter for bird lovers, we visit Uganda’s No.1 birding spots which includes Mabamba swamp, Queen Elizabeth National Park and Lake Mburo National Park. Birding in Uganda will provide you an opportunity to explore the best birding spots in Uganda as mentioned below:- wetlands, savanna grasslands, rivers, lakes and forests. 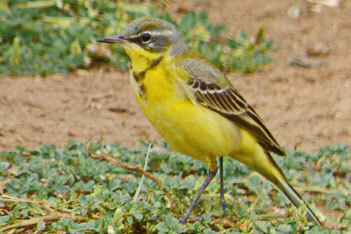 Spotting thousand varieties of birds as you trail the must bird see sites of the pearl of Africa. Expect to spot amazing floras and faunas. 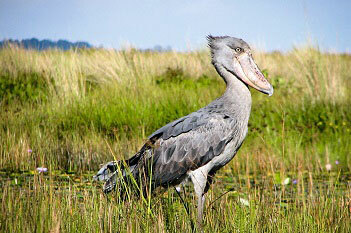 Join our most Experienced Kjong safari Team for memorable bird watching safaris in Uganda. An early morning breakfast and packed snacks, we head for the Mabamba Bay and it’s environs which is a very important birding spot on bird watching safaris in Uganda here we encounter the endemic Shoebill Stork one of the threatened species in Uganda and other African regions. Apart from the shoebill this wetland habits other bird species which includes: the Lesser Jacana and the African Purple Swamp hen, Reed Warblers, Pygmy and Spur Winged Goose, African Marsh Harrier, Rufous Bellied Heron, Caspian tern, Great knot, Hottentots teal, Temminck’s stint, Broad billed sand pipers, which are vagrant visitors in addition to the masses of ducks and waders, African Grey Parrots, Broad Billed Roller, Grey Woodpecker, Klaas’s, Died rick and Red Chested Cuckoo, Superb, Red Chested, Scarlet Chested, Collard, Green Throated and Copper Sunbird, Orange Spotted Backed, Black Headed, Slender Billed and Golden Backed Weaver among others. Overnight stay at either Booma Guest House Entebbe or Anderita Beach Hotel, Bed and Breakfast..
On our day three of bird watching safaris in Uganda, we move to the next birding destination which happens to be Lake Mburo National Park after our breakfast driving to western parts of Uganda via Masaka to Mbarara highway. Amazing stopover at Uganda equator for amazing photo taking, informative talks, shop snacks and after proceed to Lake Mburo National Park. Lunch at the lodge, go for an evening game drive to spot out wildlife and birds, animals like Impalas, Elands, Zebras, Lions, Elephants, Buffaloes, warthogs and birds like Temminck’s Courser, Martial Eagle, Ruppell’s Griffon, White Headed, Lappet Faced Vultures, Rufous-bellied Heron, Lesser Jacana and Moorhen, Harlequin Quail from Kaaku swamp among others respectively. Dinner and overnight at Mihingo lodge or Rwakobo Rock lodge (up and mid range budget option) and Eagle Nest tented camp (budget option). Meal plan: Full-Board. After our early morning breakfast we set off for bird watching safaris in Uganda with our professional bird guide for full day bird trail, wildlife and flora viewing, birds expected to be spotted include: Coqui and Crested Francolin, Temminck’s Courser, Martial Eagle, Ruppell’s Griffon, White Headed, Lappet Faced Vultures, Rufous-bellied Heron, Lesser Jacana and Moorhen, Harlequin Quail, Red-faced Bar bet, Red Headed Weaver, we head for the boat cruise along Lake Mburo to search for the water birds among them include: African Fin foots, pelican bee-eaters, vultures, swallows and much more species, Return to lodge for dinner and overnight. Meal plan: Full-Board. Bird watching safaris in Uganda will enable you visit the far western parts of Uganda that is Queen Elizabeth National Park. Have breakfast thereafter take a whole day birding as we search for Savanna birds like the Small (Common) Buttonquail, African Crake, Martial Eagle, African Skimmer, Verreaux’s Eagle-Owl, Black Headed Gonolek, Amur Falcon, Ovambo Sparrow hawk, Lowland Akalat, Greater and Lesser Flamingo and Temminck’s Courser, Temminck’s Courser, Martial Eagle, Ruppell’s Griffon, White Headed, Lappet Faced Vultures, Harlequin Quail, Blue Quail, more animals will be spotted. Return to lodge for lunch and relax at lodge. Meal plan: Full-Board. Hence making the entire birding in Uganda safaris interesting. After breakfast as we end our 7 days bird watching safaris in Uganda, we take a foot safari/nature walk in Kyambura gorge and in this sector a variety of Avi, faunas and floras are at a much closure. Return to lodge for lunch and after drive back to Entebbe international airport to board your flight back home. Meal plan: Half-Board, End of services. Personal shopping bills and cigarettes.